PLEASE REVIEW THIS INFORMATION CAREFULLY!!! Registration for classes creates a financial obligation by the student to pay tuition and fees and constitutes an understanding and acceptance of this responsibility. Any student who fails to register for a semester and who is not on an approved leave of absence will be considered an inactive student and will be withdrawn from Allen College. All students will be automatically enrolled for courses based on published curriculum and/or their plan of study on file in the Registrar's office. Final schedules will be available on My Pulse by April 19 for students not on hold. If you have general education courses to complete, please make an appointment with your advisor. Contact the ARC (Academic Registration Center) at arc@allencollege.edu if you have questions regarding your plan of study. Contact the MARC (Master's Academic Registration Center) at marc@allencollege.edu if you have questions regarding your plan of study. Contact your advisor if you have questions regarding your plan of study. If you do not get into your preferred course, clinical or lab section, you may request to be added to the waiting list by emailing ARC@allencollege.edu for BSN students or the MARC@allencollege.edu for MSN students and indicating the specific course number(s), clinical or lab section(s). Students will be added to the waiting list in the order the requests are made. Requests may be made beginning April 20, 2019. Any requests made prior to this date will be disregarded. Students are notified when/if space becomes available. STUDENTS ON HOLD are not eligible to register for any courses. All holds must be resolved prior to Friday, April 12 for summer registration. YOUR REGISTRATION WILL NOT be processed if there is a hold on your account. If My Pulse indicates you have a business office hold, please contact the Office of Enrollment Management to inquire about your hold at (319) 226-2014. 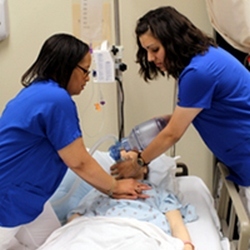 Allen College reserves the right to re-assign individuals to adjust clinical group sizes. In addition, Allen College reserves the right to cancel a class if an insufficient number of students enroll, and to close a course when maximum enrollment is achieved. Registration for courses in a future semester is dependent on successful completion of current semester coursework. Your registration may be altered or cancelled if course requirements and pre-requisite requirements are not met. The fall schedule book is available and may be viewed here. If you need to download Adobe Acrobat Reader, please click here.